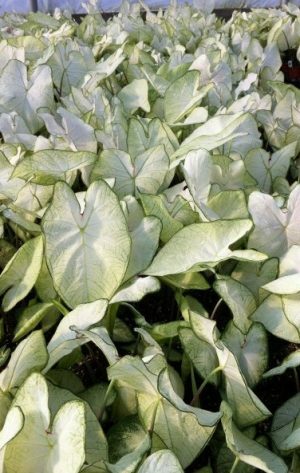 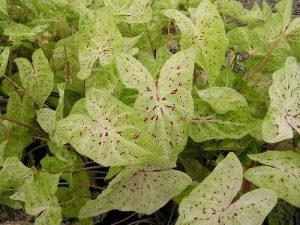 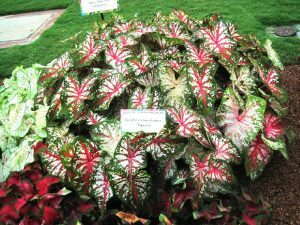 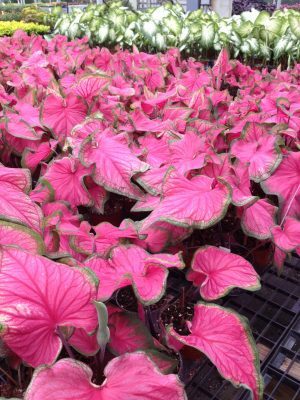 Caladiums will all do well in shade and many varieties will tolerate full sun and are fairly low-maintenance with adequate water, but do NOT tolerate cold weather. 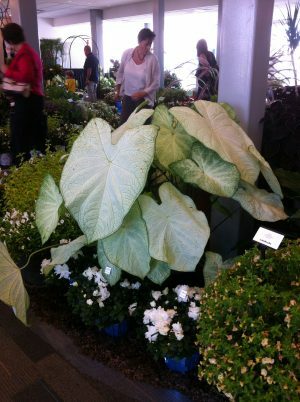 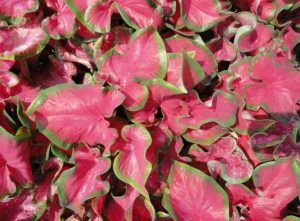 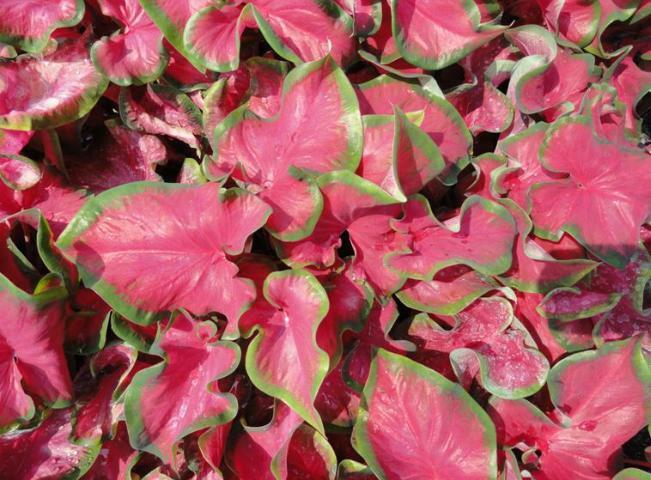 Caladiums are grown for their coarse texture and colorful foliage. 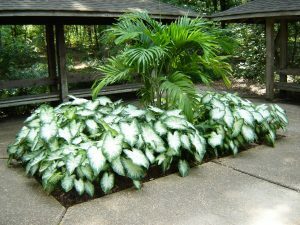 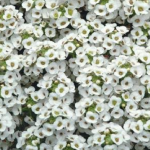 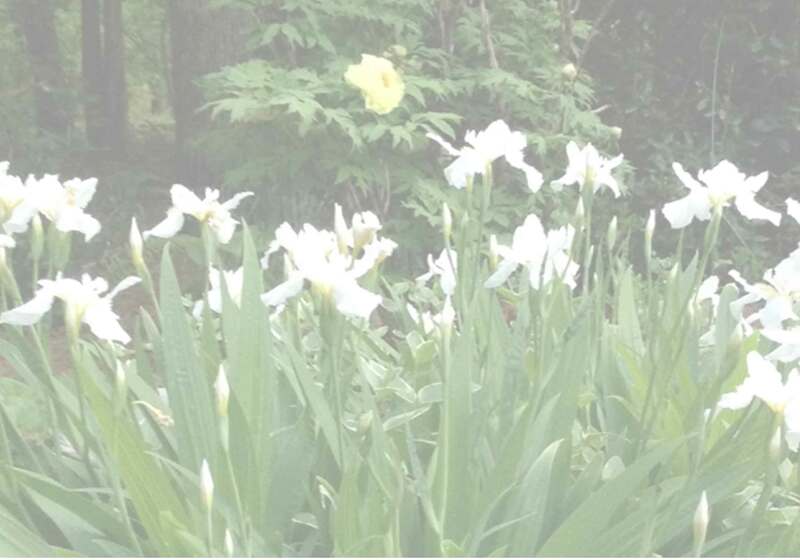 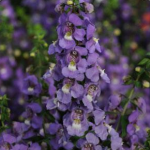 They will all do well in shade and several varieties will tolerate full sun. They are fairly low-maintenance with adequate water. 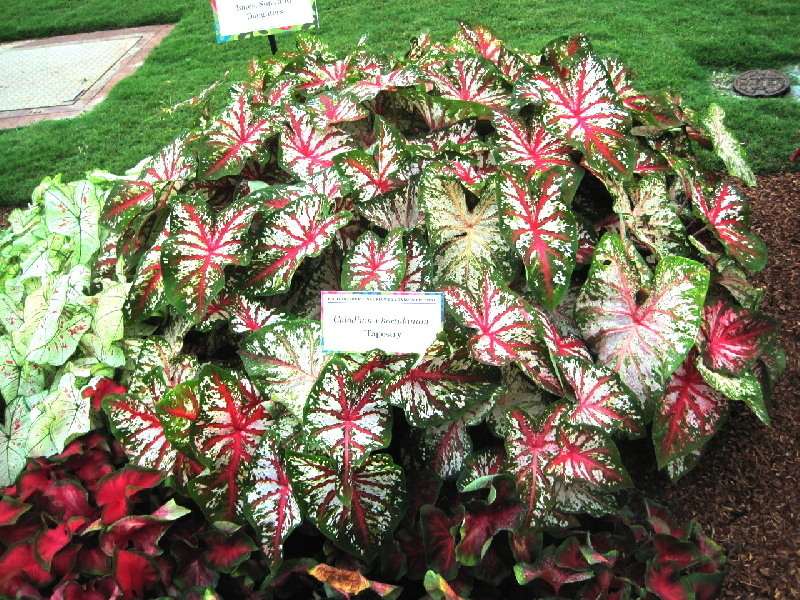 Culture note: do NOT overfeed caladiums or they will develop holes in the leaves that look like sunburn. 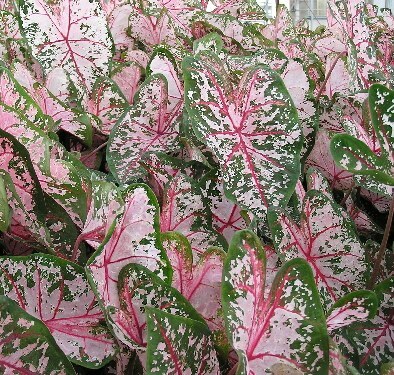 The one thing that caladiums do NOT tolerate is cool weather, and if they are planted too early in the season they may be seriously stunted.